It’s no surprise in today’s busy world that convenience outweighs consequence, especially when we’re talking about publicly connecting to the internet. 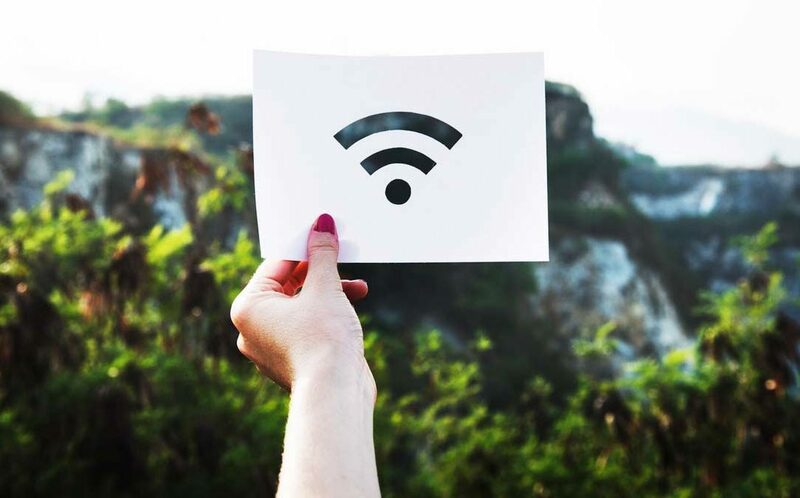 Whether it’s in a coffee shop, the library or an airport lounge, public WiFi is certainly convenient, but there are serious drawbacks to connecting your devices through these unsecured networks. With cell phone and tablets being used more than ever before, cybercriminals are targeting mobile devices more often, which means you’re taking a chance each time you log on to a free network. For cybercriminals, theft comes in the form of your personal data such as passwords, financial information, or private pictures or videos and they will do just about anything to get their hands on this type of information. Case in point – hackers love to create fake WiFi hotspots using network names that look completely legitimate in order to access your devices. So while people assume they are connecting directly to a network, in actuality they are being tricked into accessing a network that is controlled by a hacker. Never use public WiFi to shop online or log in to your financial bank or institution. Use encryption or a Virtual Private Network, or VPN, to create a network-within-a-network, keeping everything you do secure. Turn off automatic WiFi on your phone so it won’t automatically seek out hotspots. Utilize two-factor authentication when logging on to internet sites. That way, if malicious individuals do obtain access to your personal passwords, they won’t be able to log in. Remember, the more you take your chances with a free network connection, the greater the possibility that you will suffer some type of security breach.